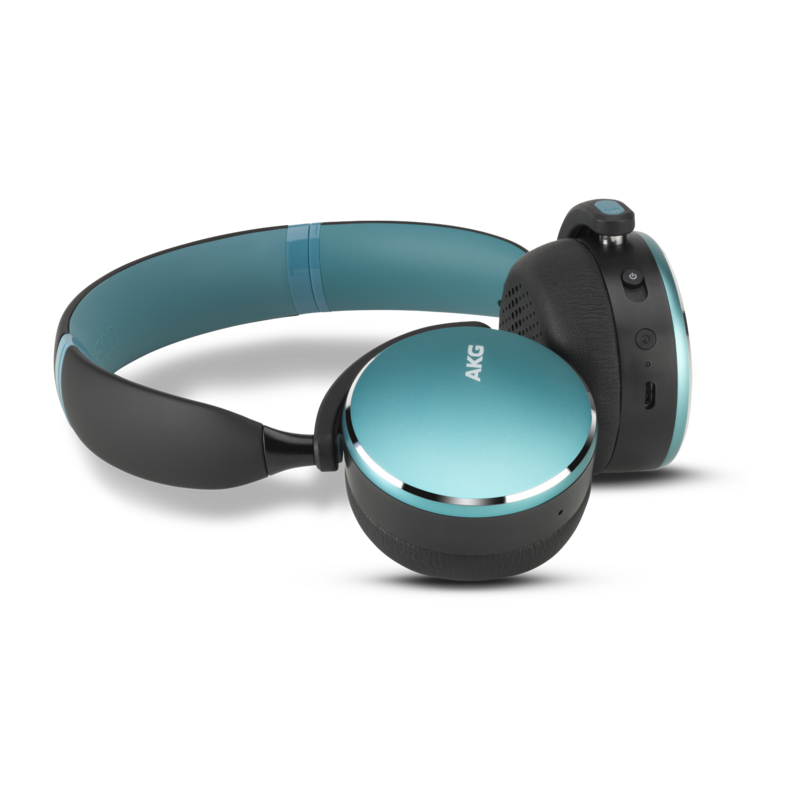 If you’re looking for an ultra-compact, sleek, and great-sounding on-ear headphone then look no further than AKG’s Y500 Wireless. 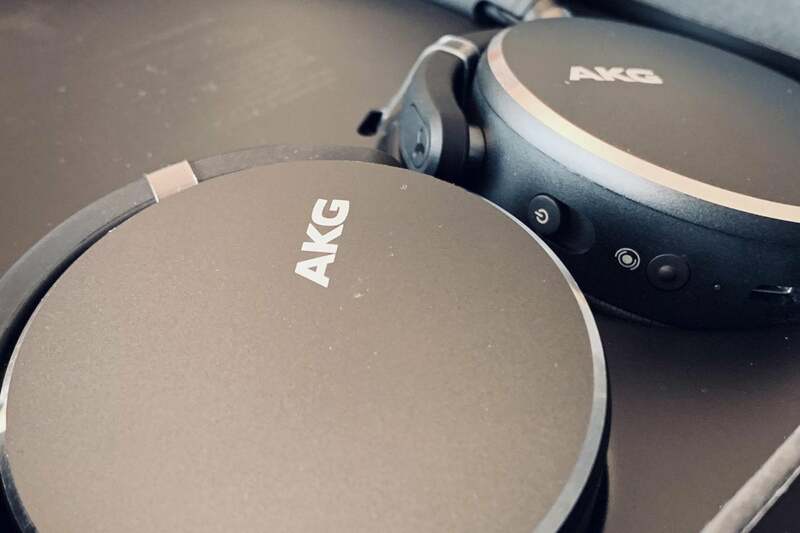 While AKG might not be a household name to some, this Harman International subsidiary (and sister company to Harman Kardon, JBL, Mark Levinson, and Revel) is well known in audiophile and recording circles. AKG also has a rich legacy in the recording studio world. 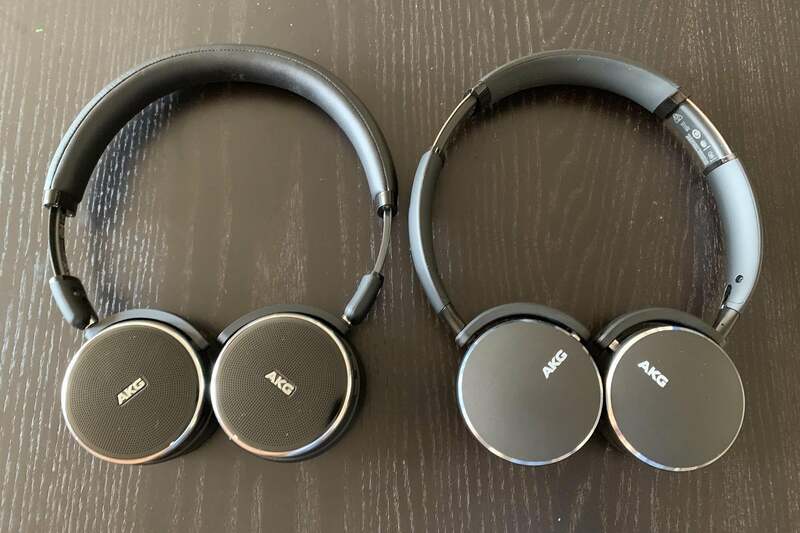 I’ve reviewed several AGK headphones over the years, including the AKG N60 NC Wireless and N700 NC Wireless, and have always had a great experience. The AKG Y500 Wireless is no exception. 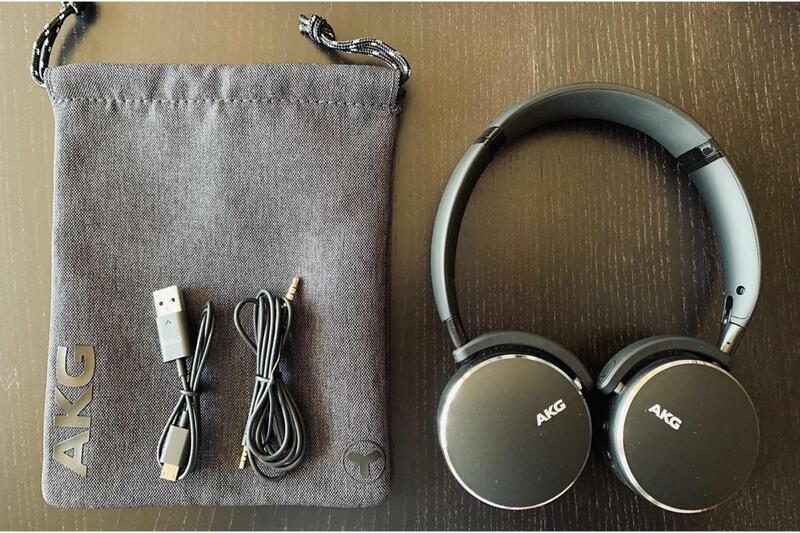 The AKG Y500 Wireless come beautifully packaged. 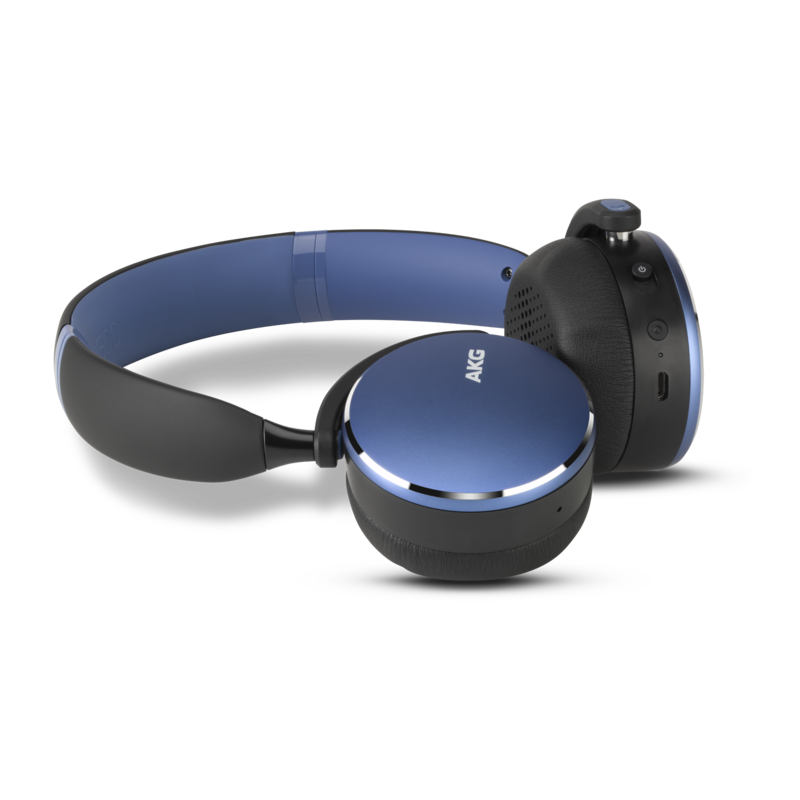 The headphones themselves were awarded an iF Design Award in 2018. The headphone box proudly displays the iF Design Award logo on its cover. The Y500 come in your choice of blue, green, pink, and black finishes with chrome accents. My review pair came in black. The Y500 come beautifully boxed and sport the iF Design award logo on the cover. The Y500 are a road warrior’s best friend. With a 900mAh polymer li-ion battery, you’ll get up to 33 hours of battery life for talk and music playback on a single charge. The fast-charging feature gives you an hour’s worth of play time with a just five-minute charge. A full charge takes about two and a half hours. Thanks to multi-point connectivity, you can connect two Bluetooth sources at the same time. It’s perfect for folks who travel with both a mobile device and a laptop, or who listen to music from a high-res DAP and need to take a call on their smartphone. The Y500 supports Bluetooth 4.2 and the AAC codec. You won’t find aptX, aptX HD, or LDAC codec support here, and when using the headphones wirelessly, I did notice higher than average hiss. The Y500 come in your choice of four colors, including green. Under the hood, the Y500 features 40mm drivers with a rated frequency response of 16Hz - 22kHz. The headphones are very easy to drive with just about any device. Their impedance is 32 ohms and sensitivity measures 117dBSPL/V@1kHz. When I first unpacked the AKG Y500, the headband reminded me of a kid’s headphone. The arms are located closer to the top of the headband, as you can see in the photo below. This makes the headphone seem smaller than it really is, and the arms initially felt awkward to extend. The Y500’s (pictured right) headband arms extend further up from the top when compared to other headphones such as AKG’s N60 NC wireless (left). I was initially concerned that my hair would get pinched in the headband, but that never happened during the review period, and I grew accustomed to the shortened headband quickly. The ear pads are well padded with memory foam. They sat comfortably on my ears—even after long listening sessions. 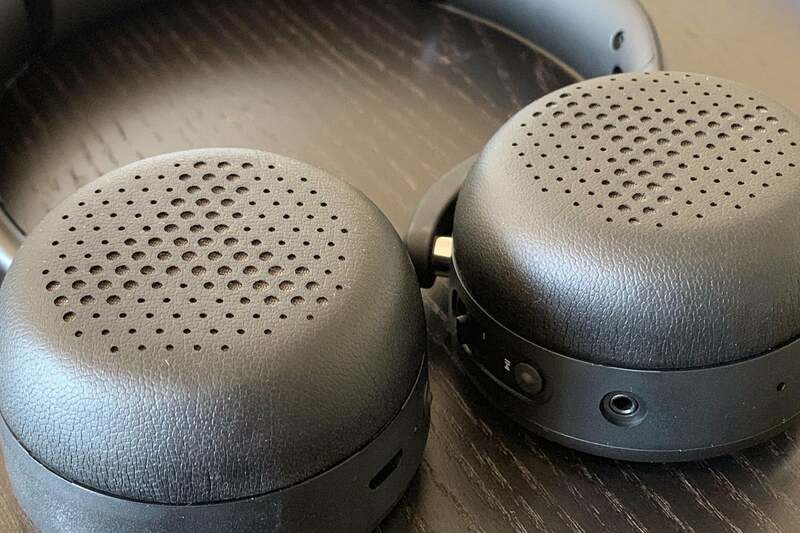 The ear pads also did a surprisingly good job of passively isolating me from the outside world—that’s a feature you typically don’t associate with on-ear cans. 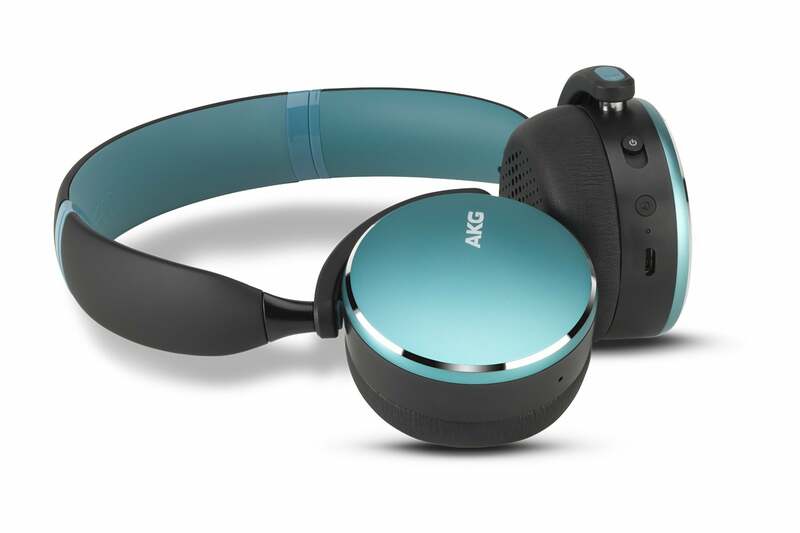 Let me commend AKG on their industrial design. I absolutely loved the Y500’s simple and functional ergonomics. The right ear cup has power and ambient aware, while the left ear cup has volume and play/pause. Just like the AKG N60, the buttons are perfectly placed and contour to your natural hand placement on the ear cup. While placing my hand on the right ear cup my thumb fell perfectly—almost every time—on the ambient aware button. The same was true of the play/pause toggle button on the left. Discerning buttons by touch was a piece of cake. The headband’s arms are metal and plastic. At this modest price, headbands are often just plastic. 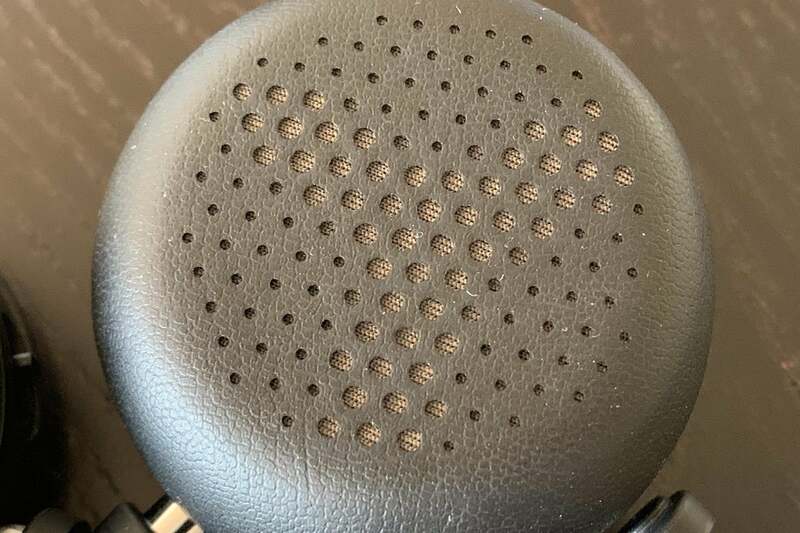 AKG deserves a nod for making that solid design choice. The metal part of the headband has click-markers from 1 to 10 if you want to make sure that both arms are evenly extended. For on-ear headphones to stay on well, they need a snug fit. The Y500 are no exception. The ear cups pivot forward, backward, up, and down, allowing you to fine-tune their fit. I think that depending on your head size, you might find the Y500 a bit too snug at first—especially during long listening sessions. AKG’s Y500 Wireless headphones fold to an ultra-compact form. There’s a trick I noticed while wearing these headphones that I thought I’d pass on for those who find that the Y500 are too snug (or too loose): Pivoting the ear cups up relieved pressure on the top of my head. Pivoting the ear cups down made the fit firmer but also increased the pressure on the top of my head. As with any headphone, be sure to try them out and see how they fit you. I liked the fact that AKG included an ambient-aware feature with the Y500. Ambient aware attenuates your music volume so you can year your surroundings. On over-the-ear-headphones, this feature will play sounds from the outside through the headphones. The Y500 simply lowers the sound with a simple press of the button on the right ear cup. The louder your playback volume, the more ambient aware attenuates. I performed some non-scientific measurement using pink noise and an SPL (sound pressure level) meter. Ambient aware reduced the headphone’s output by -18dB when I was measuring 71dB on the SPL meter. Ambient aware, however, only attenuated the volume by -8dB if I had the music playing at 59dB. Ambient aware seems to lower the music down to around 52dB or 53dB. Detail view of the Y500 Wireless’s ear cups. What bothered me about ambient aware is that when you activate/deactivate the feature, the headphones emit a piercing arcade sound. There’s no need for the sound to be so loud. Even worse, there’s no way to reduce the volume. I’d like to see AKG address this with a firmware update and at the very least, lower the piercing sound on new models coming off the factory line. AKG touts the Y500’s play and pause automation. This feature automatically pauses the music if you take the headphone off, and resumes your tunes when you put it back on. This is a great feature that saves battery life and ensures you don’t miss a beat. 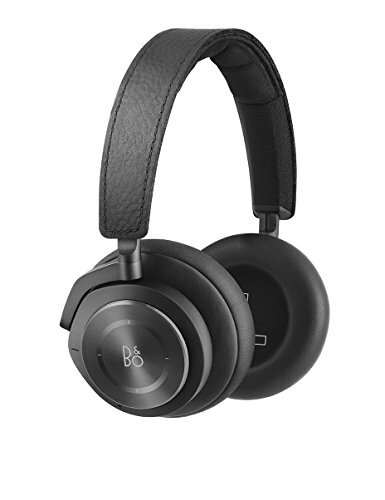 Many premium headphones, such as the Bang & Olufsen H9i and the Bowers and Wilkins PX, have this feature. Play/pause automation worked as advertised—at least most of the time. I found it to be finicky, as I’ll explain below. The AKG Y500 headphones have memory foam ear-pads with a perforation pattern that forms a subtle letter Y. First off, there’s a one- to two-second delay before the headphones start and stop playback. The AKG Y500 seems to have a longer delay than the B&W PX or the B&O H9i. Secondly, and perhaps more bothersome, was that the auto play/pause feature didn’t always work. If I opened the headphones wide and let them spring back on my head, the feature worked fine. But if I was gentle putting the headphones on, they wouldn’t start back up. I’d have to take them off and let them spring back on my ears. The B&W PX have a companion mobile app to fine-tune this feature’s sensitivity, while the AKG Y500 doesn’t. You simply need to be aware of this quirk. If you don’t want this feature, you can disable/enable it by pressing the voice-assistant and ambient-aware buttons on either ear cup for about five seconds. The user manual says auto play/pause is enabled every time you power up the headphones. I tested disabling the feature (which was easy enough), but then couldn’t re-enable it after several tries. Powering the headphones down didn’t work either. What made matters more perplexing was that there was no sound or visual indicator to let me know if the feature was turned on or off. After several tries and powering the headphones on and off, I finally got the feature re-enabled (don’t ask me how). Those minor quirks aside, it was time to take the headphones for some extended listening sessions, and this is where they really sparkled. Standard accessories include a soft pouch, a USB charging cable, and a 3.5mm audio cable for wired connections. I tested the AKG Y500 in both wireless and wired modes with an iPhone XS with the Periodic Audio Nickel headphone amp and an Astell&Kern SR15 hi-res digital audio player (review forthcoming). I used Tidal as my streaming-music source for both units, and a mix of high-res tracks and ripped CDs on the Astell&Kern. 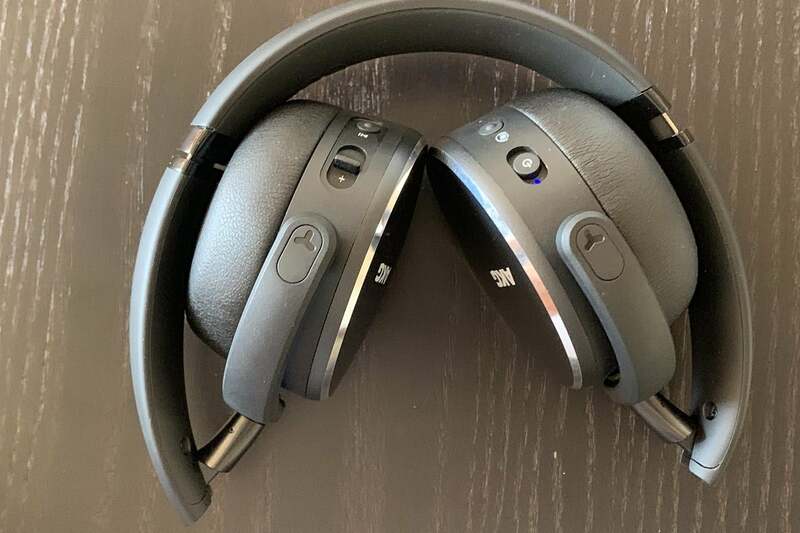 Bluetooth performance is solid, but the Y500 really shines as a wired headphone. 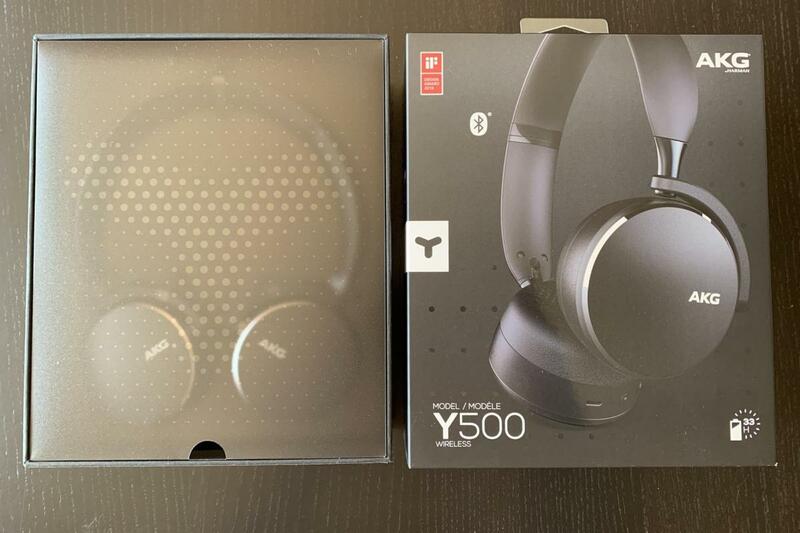 Moreover, while the Y500 will play just fine on a mobile device or a computer, you’d do well to pair this seemingly modest priced headphone with outstanding electronics. Played on the Astell&Kern, the Y500 were transformed into an other-worldly experience. I noted that the headphones came alive more with the Astell&Kern DAP, delivering greater dynamics and a sense of musical involvement. The moral of the story is that I noticed a pretty drastic change in the headphone’s performance based on the source that was feeding it. The AKG Y500 Wireless deliver a superb, detailed, and clean musical presentation. For an on-ear headphone, it was uncanny how the Y500 created such a deep, layered sound stage. Whether it was Eric Clapton, Led Zeppelin, Ariana Grande, Adele, Daft Punk, or Diana Krall, the Y500’s musical reproduction was exhilarating. The only area that jumped out at me as a slight shortcoming was the vocal range. Depending on the track being played, I sometimes longed for a tad bit more warmth. Nevertheless, the Y500 headphones were at home with jazz, R&B, rock, and classical. Generally speaking, the Y500’s tonal balance was excellent. But at this price point, the AKG Y500 headphones are stellar performers and significant overachievers. I’d have no qualmes pitting them up against headphones costing twice the price. Detail of the AKG Y500 Wireless’s memory-foam ear cup. AKG has another winner with the Y500 Wireless For the price, these cans are sure to be a sweet-sounding, no-frills, audiophile favorite. The folding, compact footprint makes it an ideal travel companion. The ambient-aware and play/pause automation are good features, though the latter can be quirky. 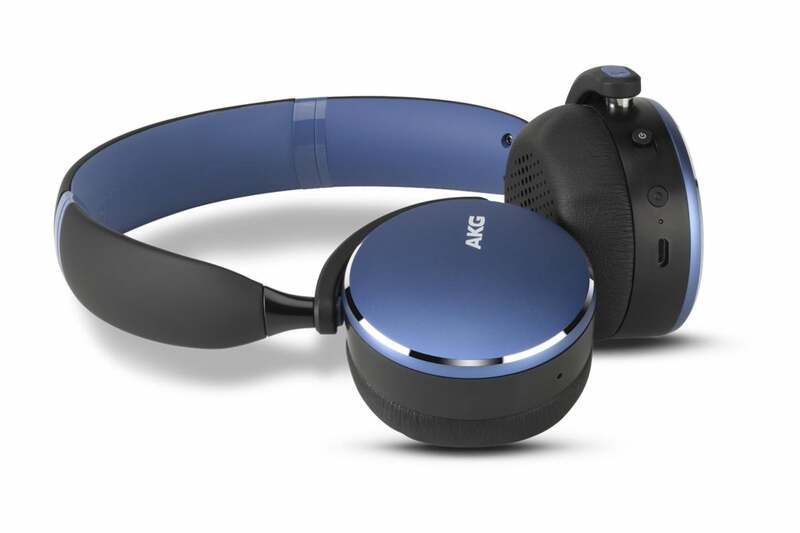 If you’re looking for a compact, on-ear headphone for less than $200, you urgently need to give the AKG Y500 a listen.